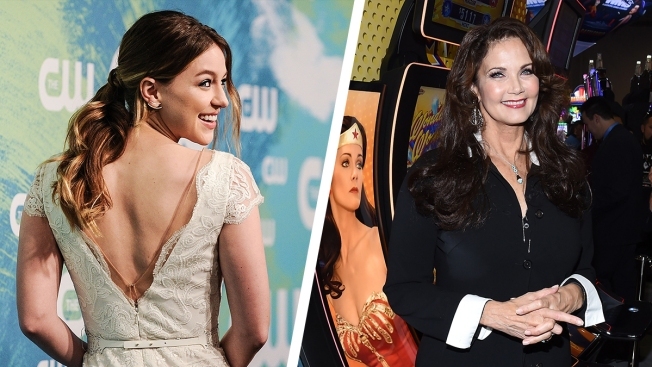 Melissa Benoist, left, and Lynda Carter. Well, she still looks wonderful. Lynda Carter, the 70's era starlet who brought 'Wonder Woman' to life for three seasons from 1975-1978, will resurface this fall on the CW's 'Supergirl'. 'Supergirl' star Melissa Benoist posted a pic of the two super heroines together to promote season two of the show. "Met a wonderful woman today," Benoist wrote next to the black-and-white pic on her Instagram. Carter won't be donning her red, white and blue leotard this time around, as her role has her playing the president of the United States.